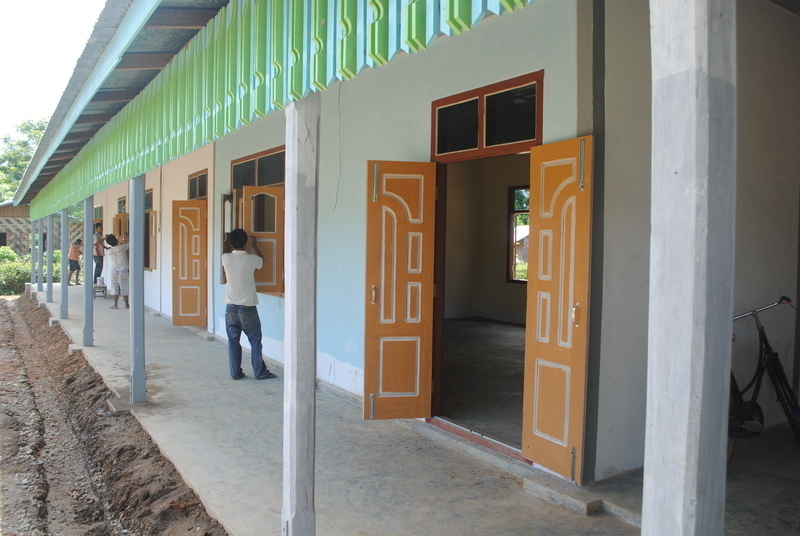 We’re excited to share that our new tuition school in the Tamu area of Burma is well underway and will soon be complete, ready to support children from our Sophia Home and the surrounding area. The building is an impressive sight and will be one of the best schools in area, which will be a real asset to the education of our children. The children in our Sophia Home currently attend the local government school, however the level of education is not adequate and the children require a lot of extra tuition to pass the government exams and go on to higher education. We would like to build our own full-time school in the area, with a Christian influence, however we are not able to due to Christian persecution in Burma. Our solution is to build an afternoon ‘tuition school’, which we are allowed to do, to offer children free extra support after school. The foundations have been laid and the building is nearing completion, and we are very excited at the prospect of improving the lives of the children in our Sophia Home and the community. If you would like to help support the education of our children in this home, please visit our Project Page today.